The use of alternative fuels in the U.S. cement industry is an interesting study in economics, incentives, and the law. Each of these drivers makes alternative fuel use in the United States quite unlike alternative fuel use in any other country. 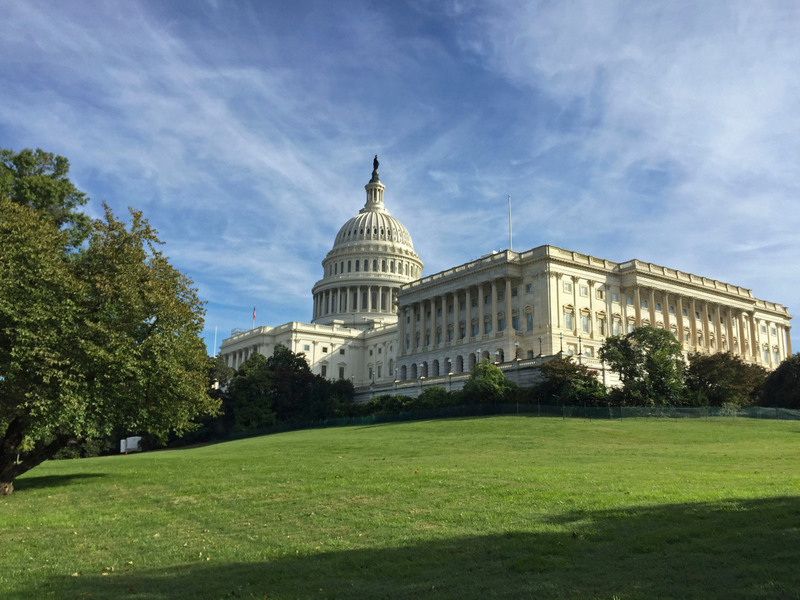 But to understand how alternative fuels fit into the U.S. cement industry it is important to understand how the U.S. cement industry fits into the global cement industry. 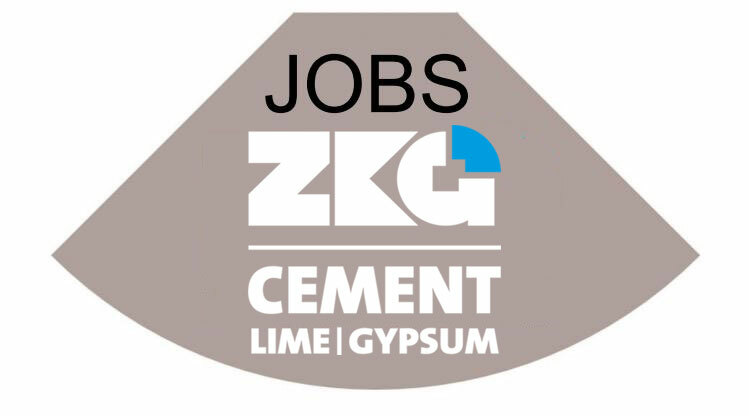 The U.S. cement industry represents a market of nearly one hundred million metric tonnes. The total U.S. capacity is approximately 96 million metric tonnes. The difference is absorbed through imports. The total global cement consumption in comparison is 4.17 billion metric tonnes. Cement production in China accounted for 2.4 billion metric tonnes or more than half of all global cement production. India, the next largest cement producer, consumes just under 290 million metric tonnes annually. The United States then accounts for less than 10 per cent of global cement production (Figure 1). This is not surprising given that most first world countries with established infrastructure tend to use less cement on a per capita basis. 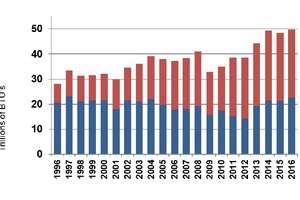 Cement production in the U.S. is accomplished through 91 cement plants. Of these, 84 plants are dry process while 9 plants use wet process technology. Those 91 cement plants, in turn, represent 128 kilns of which 118 kilns are dry process (long dry, preheater, preheater/precalciner) and ten kilns are wet process. Of particular note, 72 % of all U.S. cement capacity was installed after 1980. That means that the average age of a cement kiln in the U.S. is 34 years old . That age also corresponds with a trend towards larger kilns with larger capacities and higher throughput. For example, in 1996 202 kilns produced a total of 76 million metric tonnes of clinker but merely ten years later 128 kilns were producing 97.5 million metric tonnes of cement. 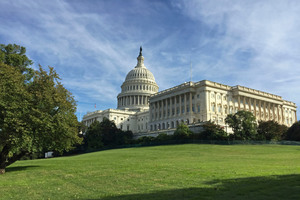 Cement plants in the United States operate under one of three permitting regimes: Portland Cement Maximum Achievable Control Technology (PC MACT), Commercial Solid and Industrial Waste Incinerators (CISWI), or Hazardous Waste Combustors (HWC) . The choice of permit is primarily driven by the choice of fuel. PC MACT kilns combust conventional fuels as well as alternative fuels. CISWI kilns also combust conventional fuels and alternative fuels but they are allowed to combust non-hazardous secondary materials (NHSM). HWC kilns, as the name implies, burn hazardous waste along with conventional, alternative, and NHSM. The terms conventional fuels, alternative fuels, non-hazardous secondary materials, and hazardous waste each have very specific legal definitions and their use has very specific guidelines. Traditional fuels are materials produced as fuels and unused products that have not been discarded. That phrase, “that have not been discarded” is important because products which are discarded are considered solid wastes. Examples of traditional fuels are fuels historically managed as valuable fuel products rather than being managed as waste materials. These include fossil fuels (coal, oil and natural gas), and their derivatives and wood. The determining factor is that these materials are truly fuels and not waste products or hazardous wastes. Alternative fuels also have a very specific definition in the U.S. Alternative fuels are developed from virgin materials that can now be used as fuel products, including used oil, currently mined coal refuse that previously had not been usable as coal, and clean cellulosic biomass. These fuels are not secondary materials or solid wastes unless discarded. Again, the key distinction here is that alternative fuels have not been discarded because something that is discarded is considered a waste. Along with the traditional or conventional fuels historically used and the alternative fuels that have become more prevalent lies a newer classification: non-hazardous secondary materials. These are materials used as fuels but not produced as fuels. These materials when discarded are not considered hazardous wastes. They share a number of common characteristics. Most importantly, they are not the primary product of a manufacturing process. That means that they can include post-consumer material, off-specification commercial chemical products, manufacturing chemical intermediates, and post-industrial and scrap materials. Examples of non-hazardous secondary materials that are wastes include: whole scrap tires from waste tire piles; off-specification used oil; sewage/wastewater treatment sludge; contaminated construction and demolition material; and chromate copper arsenate treated wood. Non-hazardous secondary materials that are not wastes then include: Clean biofuels/biogas processed from solid waste; scrap tires removed from vehicles and managed under established tire collection programs and tire-derived fuel from the processing of scrap tires removed from tire piles (shredded with the steel belts and wire removed); materials, such as cement kiln dust, coal ash, and foundry sand that are used as ingredients in manufacturing processes (e.g., in cement kilns) . There are four questions that determine if a fuel is a secondary material. First, is the material treated as a product or is it treated as a waste? Second, is the material chemically and physically comparable to commercial fuels?  Third, will the material be used in a reasonable time frame? Finally, does it have a comparable environmental impact as a traditional fuel? Fuels are managed as valuable commodities; wastes are simply discarded. Fuels are used in a reasonable time frame; wastes remain unused. Fuels are managed as fuel in that they have intrinsic fuel value; wastes have no value which is why they’re considered wastes in the first place. Fuels contribute energy value to the process; their calorific content provides measurable impact. Some waste materials can be processed into a new fuel. Understanding the difference between NHSMs that are wastes and NHSMs that are fuels is critical to a plant’s compliance with its operating permit. Kilns using conventional fuels and alternative fuels are governed by section 112 of the Clean Air Act which concerns itself with air emissions. Kilns using non-hazardous secondary materials are governed by section 129 of the Clean Air Act which is concerned with waste incineration. The difference between these two regulations effectively determines whether a kiln operates under a PC MACT permit or under a CISWI permit. Tires are a case in point that drives home this distinction. Whole scrap tires from waste tire piles are waste. Scrap tires that are shredded and have their wire removed are not waste; they are fuels. With this background in mind, we can now evaluate alternative fuel use in the U.S. cement industry. Currently, 73 % of all U.S. cement plants use some type of alternative fuel. Forty plants use tire derived fuel, 15 plants use waste oil fuel, 11 plants use solvents as fuel, and 62 plants use some other material. In some cases, plants will use more than one type of alternative fuel . Some examples of the ‘other’ types of fuels used by plants are engineered fuels, refuse derived fuels, agriwaste, ashes, biofuels, biomass, carpet, charcoal, cherry pits, coal pond fines, coke breeze, filter fluff, flexicoke, glycerin, landfill gas, nylon fluff, pecan shells, plastics, rice hulls, sawdust, shingles, spent activated carbon, spent pot liner, textile waste, wind, wood, and even other more unique materials. Many of these fuels provide the fuel producer and the cement plant a unique opportunity. The fuel producer has a ready consumer while the cement plant has a well defined fuel stream. The Portland Cement Association (PCA) has been reporting alternative and waste fuel usage in the U.S. cement industry since 1977. During that period, the share of alternative and waste fuel usage has increased from minor amounts to 16 % of all fuel use in the cement industry in 2016. That same 16 % corresponds to nearly 50 trillion BTUs (British Thermal Units) (Figure 2). For perspective, that same amount of energy would require two million equivalent short tons of coal. 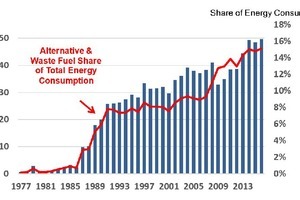 Since 1996 alternative fuel usage in the U.S. has increased in share relative to waste fuel and now accounts for approximately 55 % of their combined total (Figure 3). 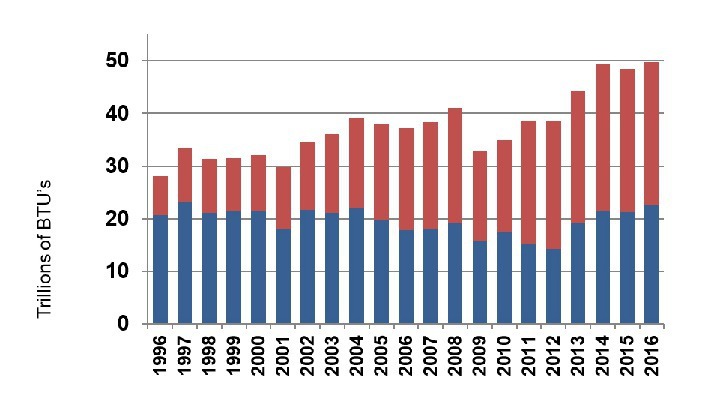 The composition of energy consumption in the U.S. cement industry has changed appreciably from 1996 to 2016. 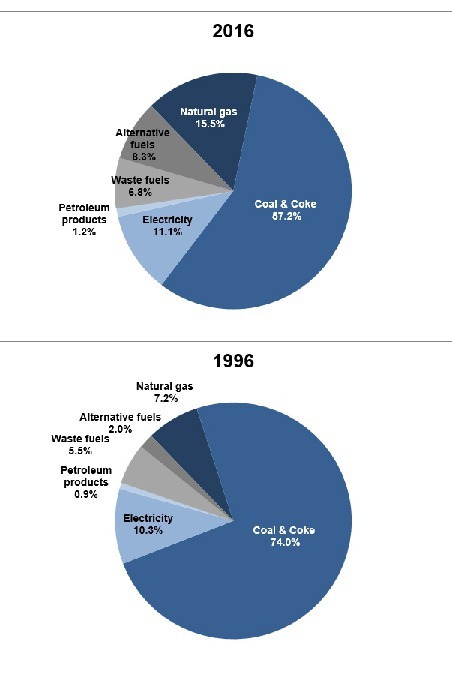 Coal and coke, once the dominant share of fuels, has dropped from 74 % to just over 57 %, while natural gas has increased from just over 7 % to nearly 16 % based on BTUs consumed. 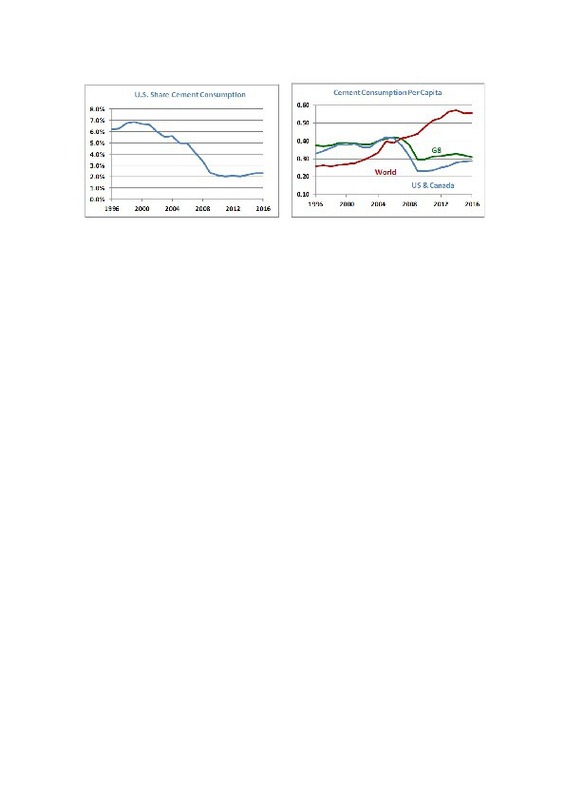 Waste fuel use increased slightly from 5.5 % to 6.8 % but alternative fuel use more than quadrupled. 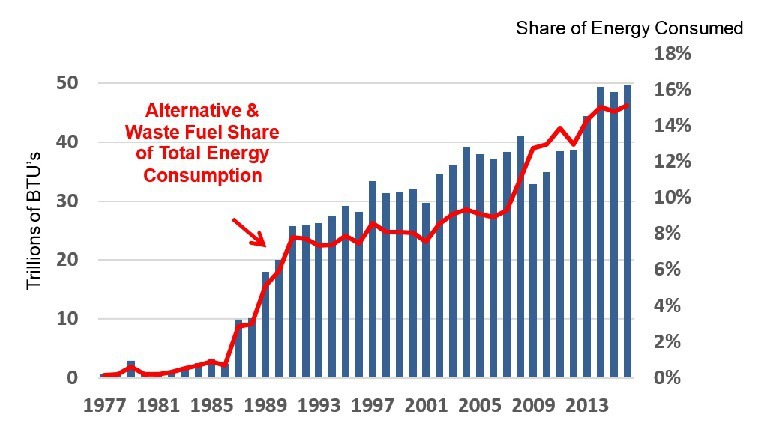 The alternative fuel use in 1996 represented just 2 % of the energy consumption in cement plants but by 2016, that figure jumped to 8.3 % (Figure 4). 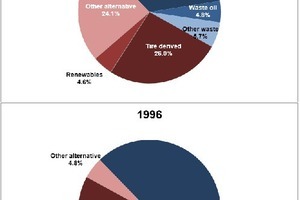 The mix of that alternative fuel use also changed. 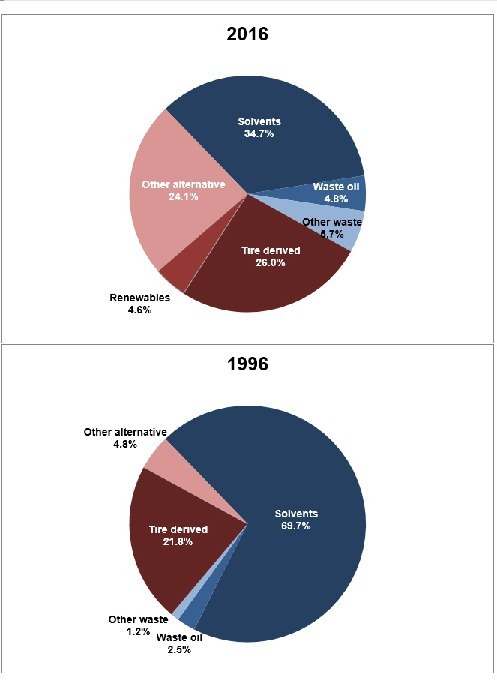 In 1996 alternative fuels were primarily solvents and those solvents represented nearly 70 % of the BTUs consumed within the alternative fuel mix in U.S. cement plants. That amount was cut in half by 2016. Tire derived fuels increased roughly 5 % from nearly 22 % in 1996 to 26 % in 2016, again on a BTU basis. The use of other alternatives though is especially dramatic. In 1996, other alternative fuels were just under 5 % of the total alternative and waste fuel use heat consumption but by 2016 that single category had increased by nearly a factor of 5. More than 24 % of alternative and waste fuel use in the U.S. cement industry in 2016 was provided by ‘other’ alternative fuels (Figure 5). These other alternative fuels pose a number of challenges though. Cement producers are keen to have consistent and reliable supplies of alternative fuels. Most importantly, they require a fundamental understanding of the fuel composition and that requires a solid characterization of any proposed fuel. Once that characterization is complete, concerns regarding the supply, storage, and delivery of these fuels can provide additional challenges. The impact that alternative fuels have at the cement plant are not just limited to process and production. They may critically impact a plant’s operating permit. The last twenty years have seen substantial changes in the use of alternative fuels and no doubt those changes will continue. 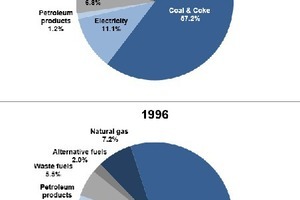 It is likely that coal and coke will continue to decrease as alternative fuels increase. It is also likely that the energy provided by alternative fuels and the spectrum of materials used as alternative fuels will continue to increase.